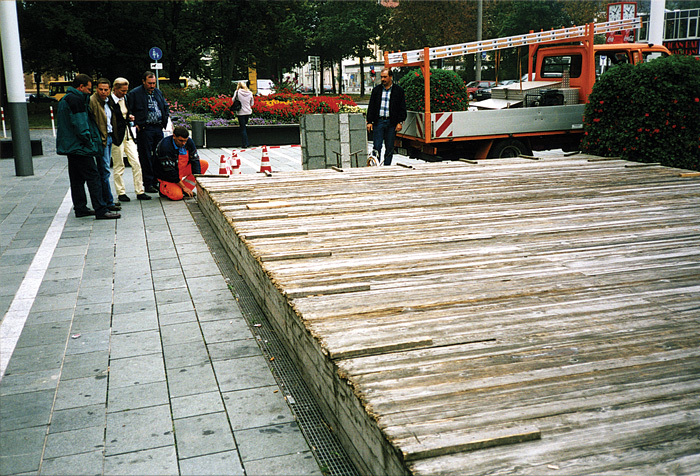 The blind wooden cover was hiding the hole of a fountain with planed name Fountain of Europe, started in 2002. Because of the lack of money, the City council stopped the works and obscured the concrete hole with that wooden sarcophagus. My project consists of opening the cover from aside making the inside visible from all sides and lighting it within with 6 x 500 KW lamps.